Alcatel-Lucent, one of the key vendors behind the Chattanooga community fiber network, has produced a video highlighting life in a "smart" city. With AT&T continuing to push H.3508, a bill to further erode local authority over broadband and ensure AT&T faces no competition in areas of the state, a number of corporations have signed a letter asking the South Carolina Legislature not to chase jobs out of the state. Though the bill has not yet had a hearing this year, we have seen hearings scheduled and know that the bill is being actively considered behind the scenes. We, the private-sector companies and trade associations listed below, urge you to oppose H.3508 because these bills, on top of South Carolina’s existing barrier to public communications initiatives, codified in SC Code §§ 58-9-2600 et seq., will harm both the public and private sectors, stifle economic growth, prevent the creation or retention of thousands of jobs, hamper work force development and diminish the quality of life in South Carolina. In particular, these bills will hurt the private sector in several ways: by curtailing public-private partnerships, stifling private companies that sell equipment and services to public broadband providers, and impairing educational and occupational opportunities that contribute to a skilled workforce from which businesses across the state will benefit. 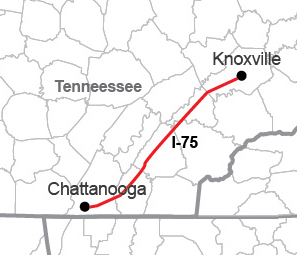 Prior to Chattanooga's gigabit announcement, Amazon had no considered that region as a location for the distribution center they would looking to put in the southeastern U.S. But they saw the announcement, talked to the City and Boom! Over 1,000 jobs. I've long known of this economic development example but did not fully appreciate how important access to the Internet is for an Amazonian Distribution Center. But this article about its coming expansion (more on that in bit) offers some context. The distribution center is the size of 17 football fields and hosts 700 Internet access points connected by 7 miles of fiber-optic cables within the facility. So access to the Internet is pretty important for a distribution center of an online retailer. When Amazon announced its investment in Chattanooga, it predicted some 1400 jobs with additional seasonal employment opportunities. After cutting back seasonal employees with the end of the holiday season, it was still employing 2000 workers. With its expansion, it will add hundreds of jobs -- hundreds of jobs that would not be in Chattanooga without the community fiber network. Massive national providers like Comcast regularly claim they can deliver any level of service to big customers but the reality is that they are not willing to charge reasonable prices for such services and they are much harder to work with (partially because the bureaucracy at any massive cable corporation is worse than that of any local government). We have been trying to keep close track of the recent group of communities building incremental, publicly owned, open access fiber networks -- which often starting with connections to businesses. A recent article from the Cortez Journal provides a window into the Cortez, Colorado network that we have previously covered here. After the city finished building the first phase of the project, at least 150 companies, according to the city, purchased and are now connected to the city’s fiber optic backbone via private service providers, such as Brainstorm Internet and Farmers Telecommunications. One of the service providers (Farmers Telecommunications) has a long experience in the area -- having offered telephone services for 91 years. It is now able to provide much faster services with a much lower investment because of the public investment. The businesses previously had access to the slower, more expensive broadband connections but now have more choices between independent service providers can use the infrastructure built by the local government to benefit the local economy. The city’s new, open-services network allows companies to offer advanced services, such as broadband Internet and voice and communication systems, said Farmers Telecommunications General Manager Doug Pace. “What we’re seeing is that more and more businesses are requiring that upload speed to be increased,” Pace said as an example of the kind of cloud computing Farmer’s offers on the city’s Fiber to the Business network.